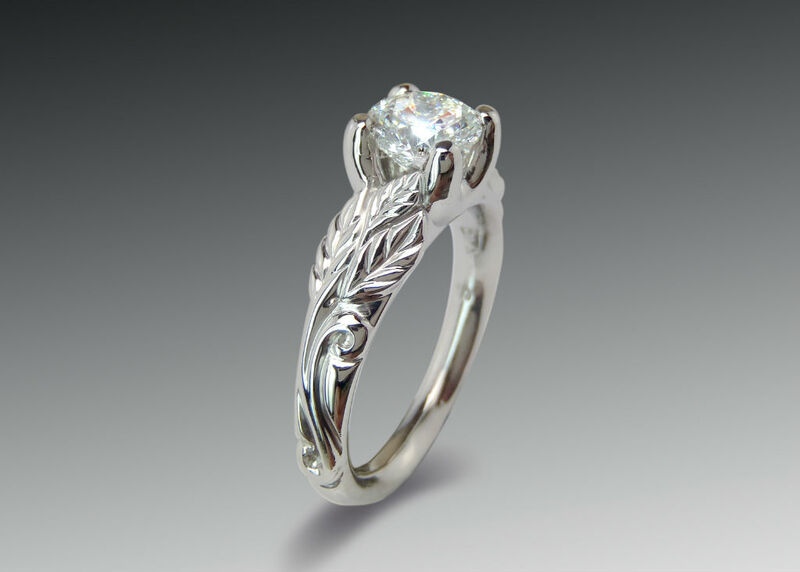 Trellis Engagement Ring Designed trellis style engagement ring in white gold with diamond solitaire. 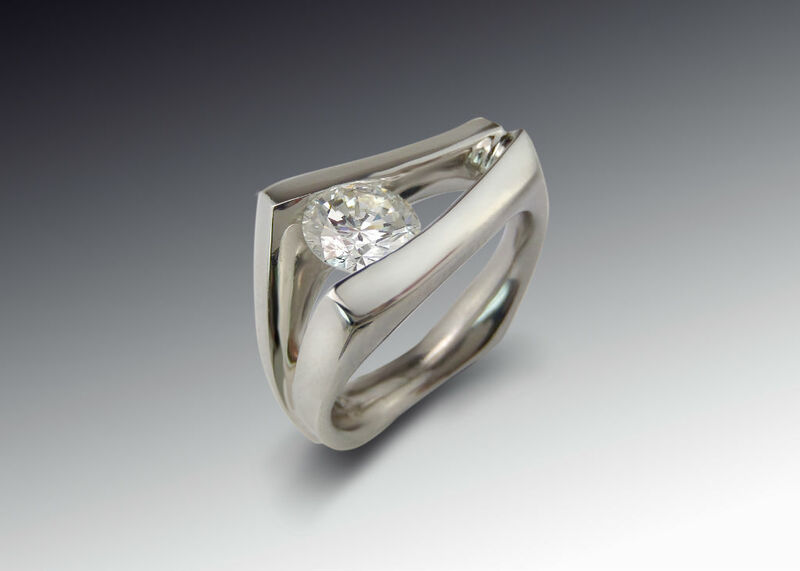 This trellis style ring set is hand crafted one at a time, and is unique to Skylight Jewelers. 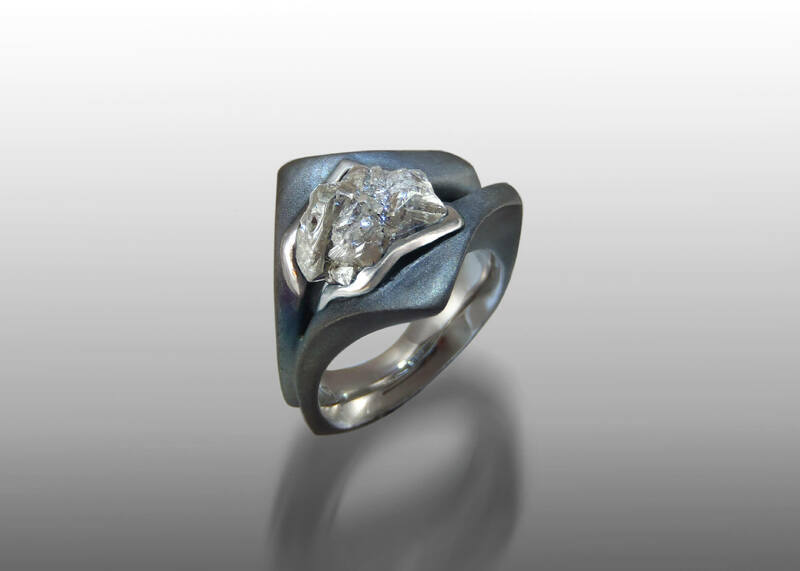 Abstract Prong Engagement Ring A sculptural and unique engagement ring with an asymmetrical abstracted prongs suspending a solitaire diamond in white gold. 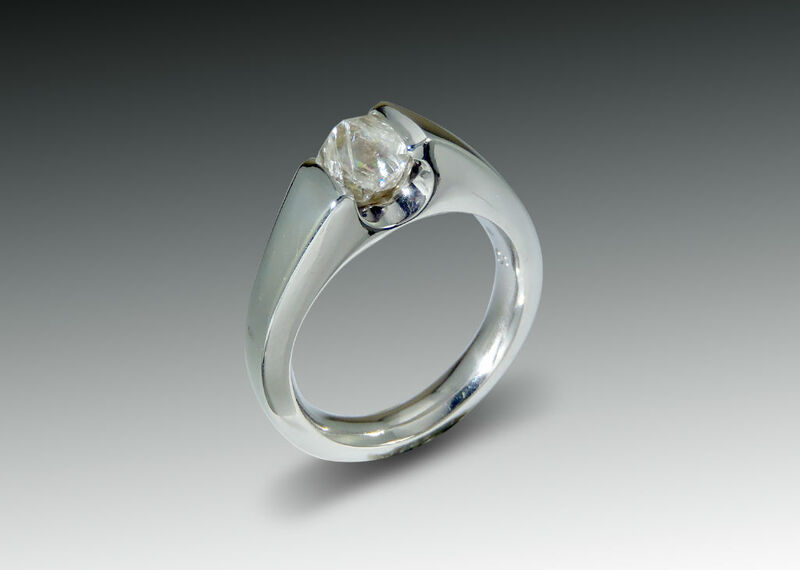 Cathedral Engagement Ring Cathedral style engagement ring setting with round diamond in four modified prongs and gently curved flared sides, made in palladium. 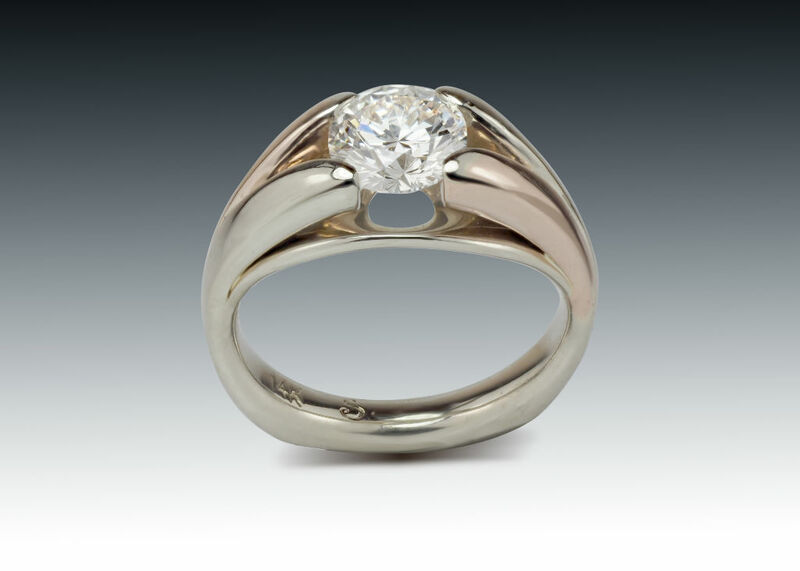 Contemporary Solitaire Engagement Ring Designer solitaire engagement ring with diamond suspended in contemporary four prong settings. Custom designed and available for special order. 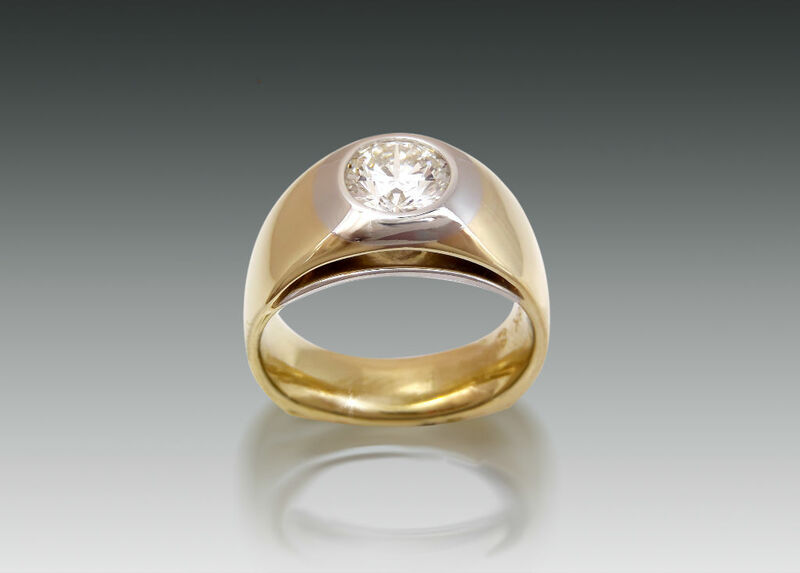 Bypass Engagement Ring Designer bypass style engagement ring setting. Custom designed and available by special order.